Today started as any other Friday here at the home office. Rising early to start the day, I knew many decisions would be made today. Little grandson, Lucas woke and came stumbling out of the bedroom in search of his morning snuggle with Grammy. As he cuddled in my arms his cute giggle set the stage for my day. To serve others, first, my heart must be full. He does a great job of filling me up with love. It took about five minutes for him to make the decision to reach up, touch and jiggle my throat calling it “turkey neck” followed by more giggling. We had a good laugh; however, deep inside this bugs me terribly. But, there’s no time to cry over my neck now; it was time to get him ready to head into the kitchen for breakfast. It was at this very moment that a video I had watched the day before hit me, the lightbulb moment flashed and I knew what I had to do. Back in October, I attended the Unstoppable Influence Summit in Boise, Idaho. I met this incredibly influential businesswoman named Cristy CodeRed. No, that’s not her real name, but her brand name. Her story inspired me to follow her on social media to learn more. Throughout the summit, I met many businesswomen whose lives had been changed for the better by Cristy’s message. 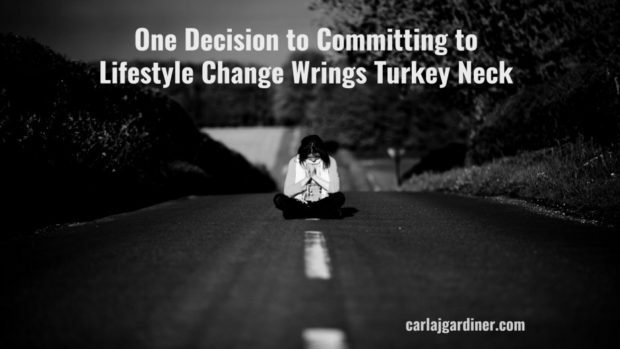 Their stories drove home the need for me to consider making a decision to change my lifestyle choices, too. Although I love my coffee and have lost a lot of inches and pounds, I knew something else had to change. The old saying goes something like this “you can’t continue to do the same thing and expect a different outcome”. This decision was based on that thought … I wanted a different outcome with my weight loss this time. I don’t want to keep fighting this the rest of my life. So, today I made the ONE decision that I’m sharing with you right here today. I’ll continue using my coffee because I love what it does for my mind, body, and soul. However, this turkey neck is about to be wrung. I want the youthful, tight skin and neck of my twenties and know that with this change I can have it again. I’m not sure if you need to lose weight or not. Truthfully, I don’t even know if you like coffee or want to change your lifestyle. Frankly, eight months ago when this leg of my journey started I would have run for the hills had you told me I needed to change my diet. But, today I’m ready. One decision to change my lifestyle, the food I put into my mouth is going to wring the turkey neck once and for all. If you know of anyone who could benefit from this information, please share. Together we can take our lives back into our control for the last time. Carla Gardiner is a mom of 2, the fiery grandma of 8 and married to her husband for 38 years. 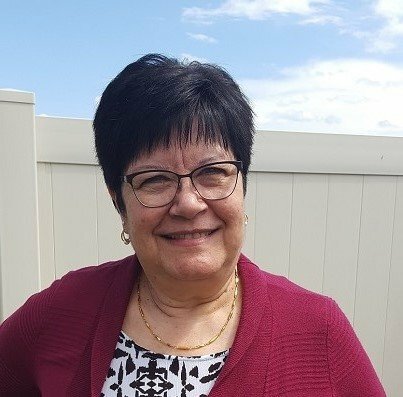 She is a focused, driven business owner who made a big move in her late 50’s. Transitioning from her native hometown to her new home 3 states away took guts, work, and dedication. Now, she is focused on helping other women embrace life’s changes while designing a plan to build the lifestyle of their dreams, one step at a time. P.S. Before you go I have a question for you. Are we connected on Facebook? Each week we get together and I share on Facebook Live a lifestyle tip, something funny or something fun I’ve found to keep life interesting. Join me, the more the merrier. Click here to go to my Facebook Page. I made a quick decision to take action about a week ago, and ordered a simply fit board from Amazon. I know the designer of this board, she’s from my hometown. But… A customer had given me a $25 gift card as a gratitude for a job well done, and I used it for the Simply Fit Board, because my friend “the designer” says it only take 5 minutes a day. I started my 5 minutes a day yesterday when it arrived. I’m going to keep it up. And I think this is a great place to share my reports! Thank you, Jan. Your comments mean a lot to my post. I actually didn’t know what a simply fit board was, so I researched it. How cool is it that you know the designer, awesome. A gift well spent will pay dividends for a long while. I’d love to keep up with your progress, here is fine as I think other women over 50 will benefit from your journey, too.